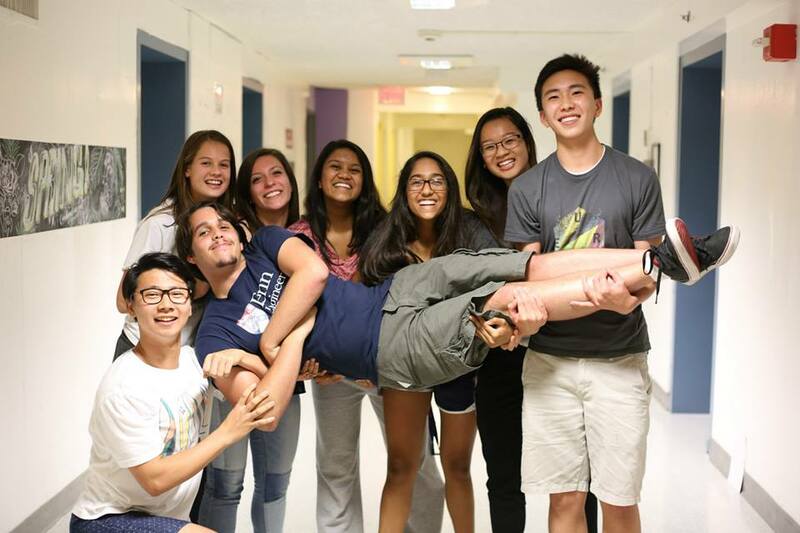 The Engineering Summer Academy at Penn offers a unique summer opportunity for a select group of motivated and talented high school students. Experience rigorous and challenging college-level studies at our high-tech, ivy-league program in the heart of Philadelphia! 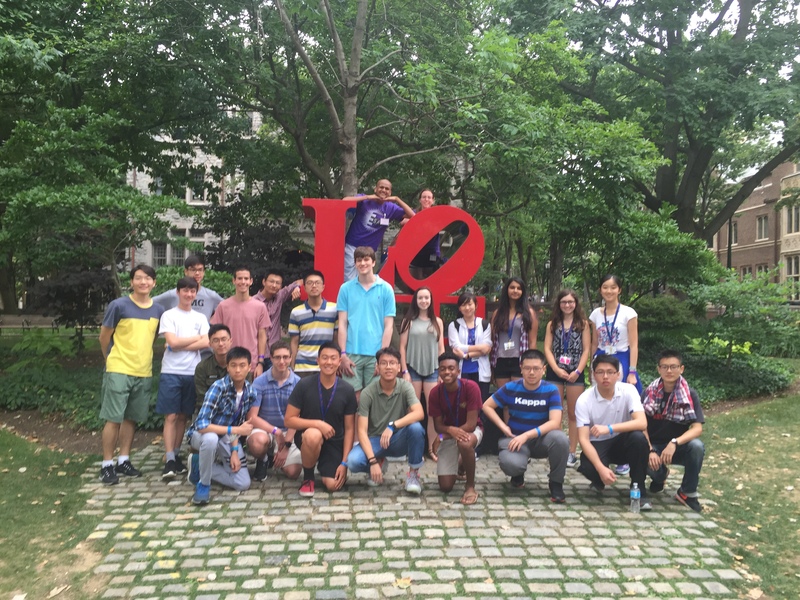 Whether students are local to the area or hail from halfway around the world, we welcome them to explore what the Engineering Summer Academy at Penn - University of Pennsylvania has to offer. ESAP is designed to provide exceptional STEM students the opportunity to explore the field of Engineering before applying to college. Situated on our historic Philadelphia campus, right in the heart of the city, pre-college students can also take advantage of the vast array of activities and resources available to the Penn community. Biotechnology - In this course, students will learn some of the fundamentals of molecular biology and have the chance to do hands-on genetic engineering. 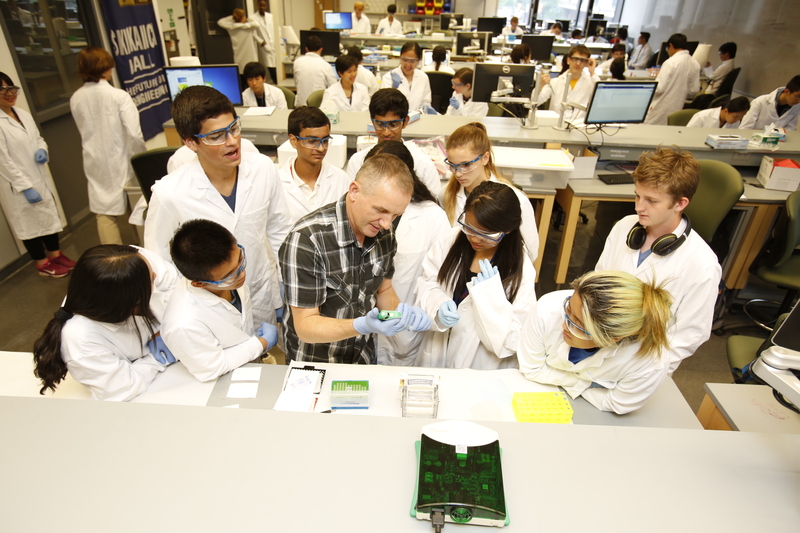 Students apply what they learn in the classroom by performing molecular cloning experiements in the laboratory. A group research project and journal club discussions round out this enriching course. Eligible students should have at least 1 year’s coursework in Biology and Chemistry. Computer Graphics - Students will be introduced to the character pipeline for video games and animation. It will include design, anatomy, modeling, texturing, rigging, programming, and animation. Beginning with clay modeling and sketches, students will quickly progress to utilizing some of the most advanced software in the industry (such as Alias, Maya, and Photoshop) to create their own animated character. Although it may be useful, prior experience with modeling tools (i.e. Photoshop, Maya, etc) is not a prerequisite for this course. Computer Science - This course will be introduce both the practical work of programming and the important foundations of computer science. Using a variety of programming languages, students will learn about abstraction, modularity, objects, loops, arrays, classes, and OOP. 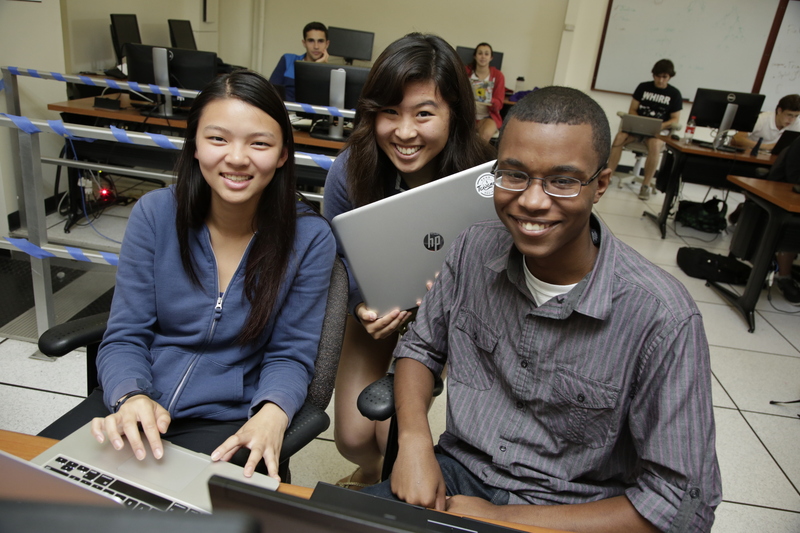 This course is for beginners with little to no experience with programming, but students who have already taken an AP-level computer science course can benefit from the intense and rigorous college-level curriculum. Engineering Complex Networks - During this course, students will learn some of the basic tools, methods, and algorithms for analysis of networked systems, as well as practical applications of this new science. These include social networks (Facebook, Twitter), infrastructure networks (Internet), or energy networks (electric grid). Students should have coursework in physics and math. Eligible students should have coursework in physics and math. Some computer programming knowledge is recommended but not a pre-requisite. Nanotechnology - Through lecture, lab, and group projects, the course will cover topics in nanomaterials, nanofabrication techniques, imaging nanostructures, real-life applications of nanotechnology, nanoscience ethics, and other concepts necessary to understanding why very small systems exhibit unique behavior. Eligible students should have coursework in Chemistry. Robotics - Students will be introduced to the state of the art in robotics, design, manufacturing, and automation. The course ties together engaging classroom discussions on a variety of topics including sensing, actuation, control, and embedded programming with a rigorous series of laboratory exercises and projects. The course will culminate in a group project in which students will design, fabricate, assemble, and program teams of small mobile robots to perform a series of tasks using a combination of autonomous actions and teleoperator control. Eligible students should have prior coursework in Physics, Math, and C programming or Autocad. Admission to ESAP is highly selective, and each required element of the application is taken into careful consideration. Students who succeed in our program demonstrate a history of academic excellence, creative thinking skills, and the ability to work well independently and in a group setting. They also exhibit the motivation to take an active learning role in a fast-paced college environment. Applicants must have completed their freshman year of high school (ninth grade) and be 15 years old by the start of the program (move-in day). Please note that need-based financial aid to attend ESAP is available, and we are committed to making it possible for highly qualified students to attend, regardless of their family income. I had always had an interest in the University of Pennsylvania as well as the field of engineering. I was told about the ESAP program and was excited about the chance to apply and get acquainted with my two interests. I was in the Computer Graphics program and learned a great deal over the three weeks at ESAP. I learned a lot about character modelling as well as working with a college professor. I also developed a sense of certainty of what I wanted to do with my career and how I could approach it. The program taught me many things from technical abilities to college expectations. It was a great experience. My experience at ESAP has already begun to affect my life. It has allowed me to take on projects in the Computer Graphics field and have knowledge on what I want to pursue in the future. I am currently working on modelling for a virtual reality project for the video and animation lab in my school. In the future, I hope to continue work in Computer Graphics as well as extend my knowledge. I also met people from all around the world at ESAP and made lifelong friends. ESAP will affect my future by setting me on the path to a rewarding career. I decided to participate in an academic program last summer because I wanted to make the most out of my summer. I hoped to learn something new and interesting that could help me in the future and generally add to my knowledge. Often the people that you meet during summer camps and courses are some of the most fascinating people that you will encounter anywhere. Many come from places far different than those that I am familiar with and have amazing stories to share. Specifically, I wanted to go to an overnight program because in an overnight program, I was able to fully dedicate myself to a specific program of study. In addition to this I got a feel for college. Originally, I reached the idea of going to a summer program from one of my robotics mentors, who recommended the Engineering Summer Academy at Penn, ESAP, to me, saying that he thought I would like and learn a lot from it, which I did. Mainly, I researched summer programs by searching on the internet and looking over their websites. I have always been very interested in engineering, specifically mechanical engineering, and I wanted to find a program in which I could strengthen these skills. I decided that I wanted to attend the Engineering Summer Academy at Penn, ESAP, in Robotics because I have always loved a challenge and based on the ESAP website, the program looked difficult but also like I could handle it. Additionally, one of my friends attended the program the year before me, and he told me that it was an amazing experience, in which you get to meet many diverse kinds of people. I have always loved being exposed to people that are different than me and hearing about their views as well as ideas. Finally, as I am from Philadelphia, I have always enjoyed the feeling I get from walking on Penn’s campus, especially Locust Walk. Therefore, the Engineering Summer Academy at Penn seemed like the best option of summer program for me. In the Engineering Summer Academy at Penn Robotics program, most days began with a short lecture from Professor Fiene. Each was about a single aspect of engineering, such as programming, mechanical design, or electronics. They were all intriguing and left me wanting to learn more. Following the lectures, we had a lab for the rest on the day, with a break for lunch and a break for dinner. In the labs, we experimented with circuits, computer aided design (CAD), and programming, for example. Each day was very challenging, and we stayed up late working on projects and assignments (because we wanted to, of course). Towards the end of the program, we had a competition called “Robotanks” in which groups of three students worked to design, build, and program their own robots to compete in a partially autonomous, partially remote controlled game. We labored all hours on these robots, staying as late as we were allowed, coming in as early as possible in the mornings, and even eating our lunches and dinners while CADing. This, I must say, was my favorite part of the program–devoting my efforts towards one final project was very enjoyable and also rewarding on competition day. Through participating in the program, I became familiar with programming in C, since before coming to the program I had very little experience with C. Also, I learned about how electrical systems work, how to build fairly complicated ones, and how to make calculations within them. Furthermore, I began to comprehend how to better gather my ideas together, apply teamwork, and come up with a final working product that solves a problem. Finally, I started to get a feeling for what living at college might be like: being more independent, sharing a room with other students, and effectively managing my time. The Engineering Summer Academy at Penn, ESAP, Robotics program has helped to ensure me that I would like to study engineering in college because I loved every second of the course. I continue to talk to the people I met in the program on a daily basis, and it is great knowing that I have a supportive community of friends who are also interested in science, technology, engineering, and math from around the world. The skills that I learned in the program, relating to teamwork, leadership, and time management, for example, will help my on a daily basis. The new ways of solving problems and mechanical engineering abilities that I became familiar with during the program will help me on my robotics team and throughout my life. The experiences that I gained are more valuable than words can describe, and I will never forget the time I spent at the ESAP Robotics program. I had been talking to my guidance counselor about what to do in the summer and she had recommended I do an overnight program because it would give me a feel of what staying on a college campus was like. I also liked the idea of being on my own for a couple of weeks. I just did a Google search of engineering programs in the summer. My guidance counselor helped a lot too because she had known of many that previous students had attended. I had visited UPenn earlier in the year and really liked the area, so when I saw it had a good summer program, I decided to apply. I specifically picked the robotics program because even though I had studied engineering in my high school, I had not had the chance to make a robot and was really interested in making one over the summer. For the first week, we learned a lot about electrical components, 3D-CAD modeling, coding as well as how to operate some of the machinery in the lab. The first week concluded with us making a robot that could scan for a dark line on the ground and follow it. The next two weeks we used the skills we had learned to do a final project in groups of three. The final project was a robot that could traverse through a maze autonomously, and then lock on to a target and fire a projectile at it. I learned many useful skills in the program such as how to program, and how to operate a LaserJet, but the main thing I learned from the program is that sometimes not everything works like you wanted it to and you cannot freak out about it. Many times our robot would do nothing when we thought we had successfully programmed it to move only to find smoke coming out from the robot. This was very frustrating at the time, but it made me learn that building a robot does not come easy. It was very hard building the robot; some days we would not leave the lab until late into the night when our RTAs kicked us out, but eventually, we got the robot to work (sort of), and this left me with a great sense of accomplishment. In the future, hopefully I will be an engineer, although I am not sure if robotics will be what I specialize in. Nonetheless this program has taught me important skills to learn that will affect my success in the future. I work better in groups, know more about the field of engineering, and have a better idea of what it takes to be an engineer because of this program. I have a feeling that after learning everything I did from the program, that I will be a successful engineer one day. Since I was a senior, I wanted to have an experience that reflected how life in college will be like. One that would enrich me academically, present to me all the academic challenges of college and allow me to have full experience of campus life. I wanted a summer program that would allow me to gain knowledge in the field of engineering and acquire this through world-class, erudite professors. I also wanted it to be on a campus that would make my first trip to the US amazing! So through my research on the internet and advice from my university counselor and my mentor, I opted for ESAP for it provided all that I wanted in a summer camp. Most of the time was spent in the lab (morning sessions) or in the lecture halls (afternoon sessions). Evenings were reserved as free time and were mostly used for homework or research for our final paper. We occasionally had field trips to Penn’s Nanotech facilities such as the Singh Center and others. We also had fun outings to the beach, to the many restaurants on campus, and to Six Flags. The three weeks culminated with a beautiful graduation ceremony. The program taught me a lot academically; I learned more about nanotechnology and its real life applications which helped me finally decided on what career path I wanted to pursue. I had never written a lab report or research paper before but through the program I was able to do this. I got the opportunity to discuss current affairs with my age mates from all over the globe and learn from their unique perspectives. And as an international student, I experienced how life in college abroad will be like and made lifelong friendships with people from all corners of the globe. In this program I had the opportunity to grow as a person and slowly fit into the skin of the college student I wanted to be. I made a lot of mistakes, be it in my academics and in my social life but now that I know what went wrong, I will correct them as I go on to college and in life as a whole. As a foreign student who loves to build things, I was looking for an Engineering Summer Program at US universities. One day, when I was doing program researching, I surprisingly found a program called ESAP that had a branch discipline of robotics, which is a field I am very interested in. In fact, I am a member of my school robotics team, and thus I was eager to expand my knowledge about the field of robotics at the college level. I submitted my application just before the General Application Deadline. Several days later, I received the acceptance letter beginning with letter "C". In the beginning, I was actually nervous about this unfamiliar environment, but as I understood that everything would be fine because people here are kind and helpful, I gradually assimilated into the intensive yet fun Penn life. We had lectures about Programming and Circuits in the morning and classes on CADing (Computer Aided Design) in the afternoon. The lectures contained much information about Computer Science and Electrical Engineering, and the CADing classes allowed us to design our own mechanical parts and 3D print out or laser-cut them. In the three weeks' program, we studied much robotics-related theories, we CADed, made different things, and we even built our own robots. But, I learned way more than this. The intensive curriculum made me understand how to balance work and relax at a college level, the final team project fostered me a sense of leadership, and the competitive environment taught me how to cooperate with my program classmates-they are all extremely intelligent Engineers. The experience of being a Penn student and studying under college level education will help me adapt quickly to college life in the future. Moreover, I made a lot of friends there, and we still keep in contact until now (this was actually a challenge for a Chinese student). I think the greatest impact this program left on me is that it led me to the decision of pursuing Engineering in college as a major and choosing Penn as my ED school. Now I am accepted by Penn SEAS, and my relationship with Penn will continue for a lifetime. If I didn't attend ESAP, I wouldn't have fallen in love with Penn, and I would never be a Quaker. Thanks to ESAP, I was able to discover Penn, discover Engineering, and discover myself. 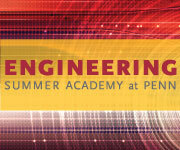 Want More Information about Engineering Summer Academy at Penn? Your request will be sent directly to Engineering Summer Academy at Penn. By submitting this form I confirm that I am at least 13 years of age and give my consent to be contacted by Engineering Summer Academy at Penn by email as well as by phone and/or mail (if provided).